Even after the holidays, Nintendo's highly sought-after NES Classic Edition remains damn-near impossible to get if you don't want to pay hundreds to a third-party reseller. 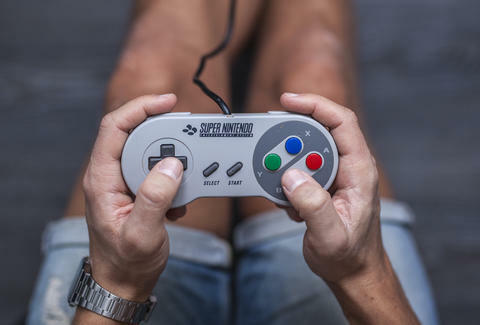 And while Nintendo promised more stock of the retro gaming system in the near year, some are speculating that the company might already be working on yet another nostalgia-inducing remake: an SNES Classic Edition. Should Nintendo actually release an SNES Classic Edition, it'll be interesting to see which games it will bake in like it did with the 30 classic games -- Super Mario Bros., Donkey Kong, PAC-MAN, and others -- on the NES Classic Edition. Game titles aside, let's just hope they make the controller cable longer than just a couple of feet, which is easily the NES Classic Edition's biggest flaw. At least one thing is safe to assume about the hypothetical device, though: you won't have worry about blowing dust out of those damn cartridges. Tony Merevick is Cities News Editor at Thrillist and would love to play the Jurassic Park Super Nintendo game again someday. Send news tips to news@thrillist.com and follow him on Twitter @tonymerevick.